Whether you are dealing with surface water or highly contaminated groundwater, the AguaPods solution is for you. Our easy-to-operate and chemical-free turnkey system is perfectly suited to the specific requirements of the municipal sector, recreational sectors (hotels, campgrounds, tourist sites) and industrial sectors (mining, forestry camps, hydro electric generating stations). Conventional filtration techniques present significant challenges to their operators, with excessive membrane fouling, frequent chemical cleaning, and unnecessary water loss through the maintenance of system components chief among them . With its unique patented treatment process, AguaPods avoid all such problems. AguaPods require absolutely no chemicals while using less cleaning water than membrane alternatives. 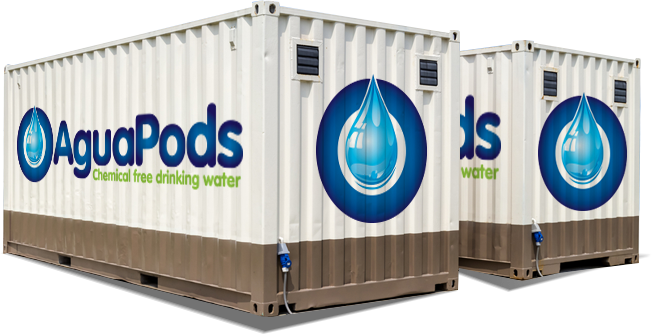 All told, the technological breakthrough that Aguapods has accomplished in chemical-free water treatment enables community decision makers to balance their financial capacities with both regulatory requirements for drinking water and the growing support for sustainable development. 100 m3/d to 5 000 m3/d.